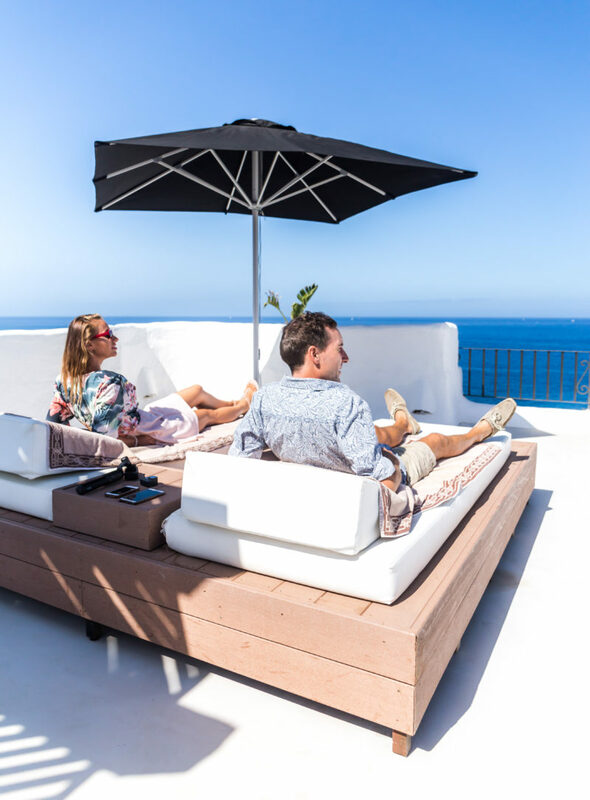 In recent years Tenerife has been going through something of a transformation and one that is most certainly for the better. While it is true that there are still more than a smattering of budget hotels, bars and restaurants, things are definitely shifting upwards in terms of quality. There are now fantastic restaurants being opened up across the island, more exclusive, personalised excursions being offered, and most importantly a vast improvement in choices of where to stay. 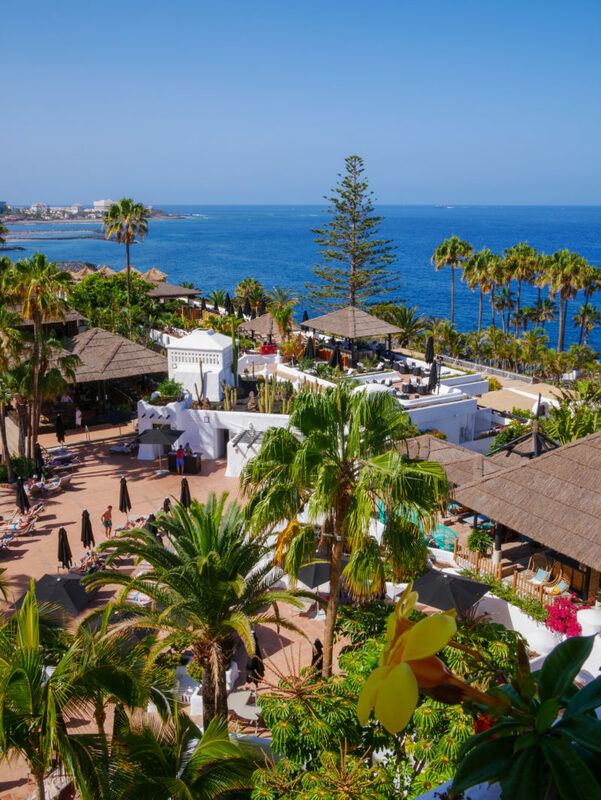 In fact there has been policy recently across the Canary Islands to significantly improve the level of hotels and resorts in terms of both new accommodation and also refurbishing existing ones. A perfect example of this is the incredible Hotel Jardín Tropical which has recently had an extensive luxury refurbishment throughout the entire hotel. Our team had previously attended the hotel relaunch celebrations several months ago and saw what an amazing job had been done and now we were actually going to get to stay and experience the hotel for a long weekend, so understandably we were more than a little excited! The hotel has been open for several decades, but it was decided by the owners that it was time for an update. The results are extremely impressive and you will notice immediately once you enter the reception area how modern, top-quality and luxurious everything looks. As well as this, the first impression of staying at Jardin Tropical is how welcoming the reception team are. 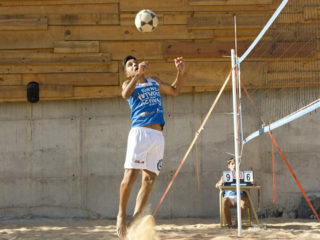 They are efficient, friendly and make you feel at home immediately. All of the reception staff speak several languages which of course is perfect for such an internationally famous destination as Tenerife. The friendliness, efficiency and professionalism of the staff was apparent among all staff members, in every area of the hotel, from the managers and marketing team through to the teams in the restaurants and housekeeping staff. Everyone working at the hotel looks genuinely happy to be working there which is always a welcome change, as when someone does not enjoy their job it becomes reflected in the way they treat clients. At Jardín Tropical it seems that guests are always welcomed with a warm and friendly smile and greeted with politeness. It is no exaggeration to say that the service you receive somewhere can really make or break your impression of a place. Generally for example, if the people serving me in a restaurant or shop are rude I won’t go back there, but if they treat me in a polite and friendly manner then I’ll start going regularly and recommend their business. This is most definitely the case at Jardín Tropical where the level of service and attitude of the teams working there is second to none, so this is a huge plus point. Another huge part of what makes the hotel so amazing is just how spectacular it is. It truly stands out as a tropical oasis in amongst the other more typical, ordinary styles of the surrounding hotels and buildings. It has a unique and stunning Arabic style architecture running through all of the main building which is all painted in a bold and contemporary white. It is interesting as in Tenerife you will find a whole rainbow of different coloured buildings whereas in Lanzarote almost every single building is a bright white colour. 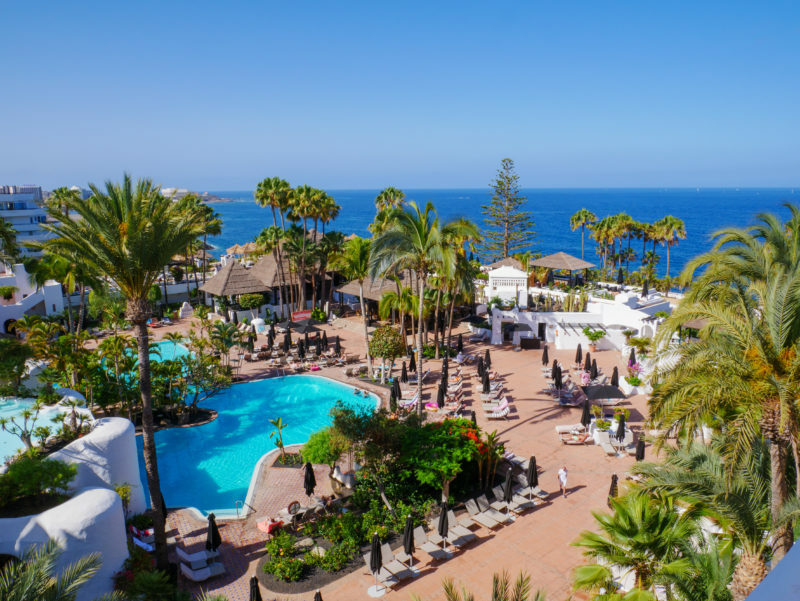 Whereas in Lanzarote this has been the case for many, many years and has created a uniform effect, here in Tenerife the bold white design of Hotel Jardin Tropical really makes it stand out from the crowd and sets it apart as somewhere special to stay. In comparison, some of the other hotels on the island either appear quite non-descript and boring, or even worse just plain unattractive. This is why, as is the case in many walks of life it is good to take risks, be bold and be different! As you walk through the hotel reception area and lobby bar, then proceed to the outside area, you will be greeted by an incredible vista of subtropical vegetation including giant luxurious palm trees which line the edge of one of the hotel’s huge swimming pools. 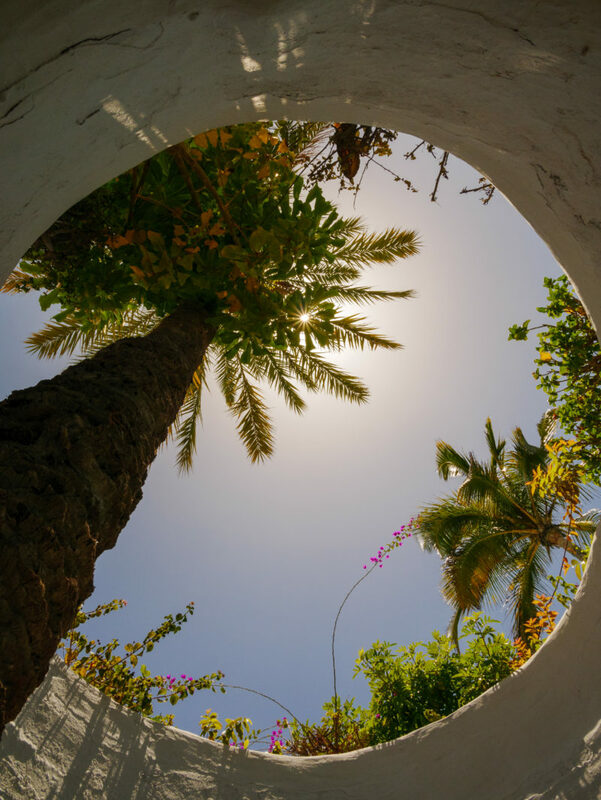 Under the bright blue sky that Tenerife enjoys almost year-round, especially here in Costa Adeje where the hotel is located, everything looks incredible, like some sort of tropical oasis. The colour contrast is amazing with the bright white of the buildings, the green palm leaves and cacti, and the blue of the swimming pool and sky. 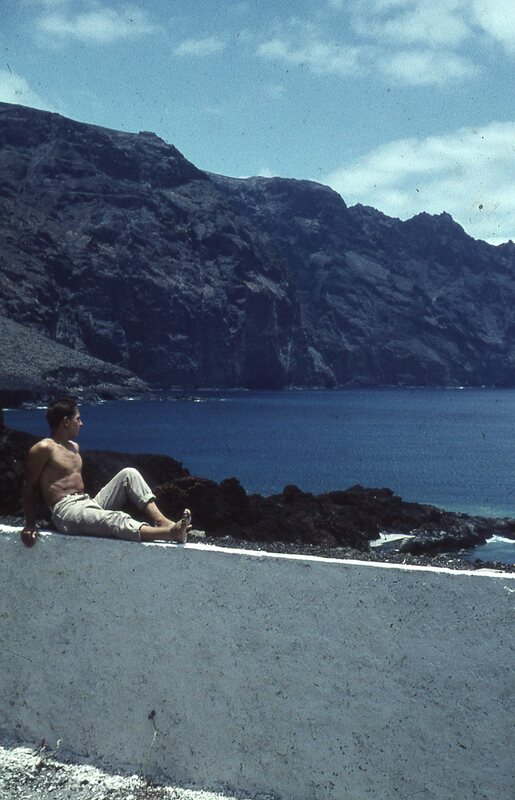 This really is a sensational way to spend a holiday in Tenerife. The quality and variety of the food at Hotel Jardin Tropical is truly excellent and mouth wateringly delicious. As part of our stay we were treated to half-board service with breakfast and dinner included. For the breakfasts we enjoyed a vast buffet selection at the Laguna Food Market Restaurant, where there was literally anything and everything you could possibly imagine in terms of breakfast options. This included fresh juices with a whole selection of different varieties, coffee and teas, pancakes, waffles, cereals, many different baked goods, fresh fruit, cooked breakfast (including sausages, bacon, beans, tomatoes, eggs and more), yogurts and much more. I can’t recall a hotel where there has been so much choice for breakfast! Once again the level of service from the staff was exemplary in terms of professionalism and friendliness. In the evenings we were able to select from the wide variety of different restaurants on site. This included the Italian themed Restaurante Ugo & Vandino, the steakhouse Restaurante El Churrasco and the buffet at the Laguna Food Market. The first evening we enjoyed an incredible Italian meal at Ugo & Vandino. As part of my family is Italian, I’ve been eating Italian food several times a week practically all my life and absolutely love it. The salad, pizza and tiramisu I enjoyed at the hotel were definitely some of the best I’ve enjoyed in Tenerife and rivalled much of the food I’ve eaten even in Italy! The semi-sweet white wine was also very good and went extremely well with the food. The other evenings we enjoyed the giant buffet selection at the Laguna Food Market which as with breakfast, provided almost every single option you could think of. This wasn’t your typical hotel style buffet though which can sometimes resemble a school canteen. Instead the different styles of food are served in different areas of the restaurant, thus resembling a food market. This gives the Laguna Food Market a much more upmarket feel, making it fit perfectly with the overall level of quality of the hotel. Although lunch wasn’t included in our stay, there is the option to go Full-Board with many different lunch options when you stay at Jardin Tropical. In addition to this the hotel is located very conveniently next to Porto Colon, so if you choose to take a wander out of the hotel there are many different bars, restaurants and cafes very close by, although the quality of many of these leaves a lot to be desired when compared to that of the cuisine in the Jardín Tropical restaurants. Because of this on the final day we decided to order lunch at the Burger & Crab all day kitchen, located next to the swimming pool. I’m glad we did choose this option as the food was delicious and it was a beautiful setting gazing out at the pool while we ate and chatted. It’s quite understandable why many of the guests would opt to enjoy all of their meals at the hotel, as you can almost be guaranteed of a delicious meal and excellent service! 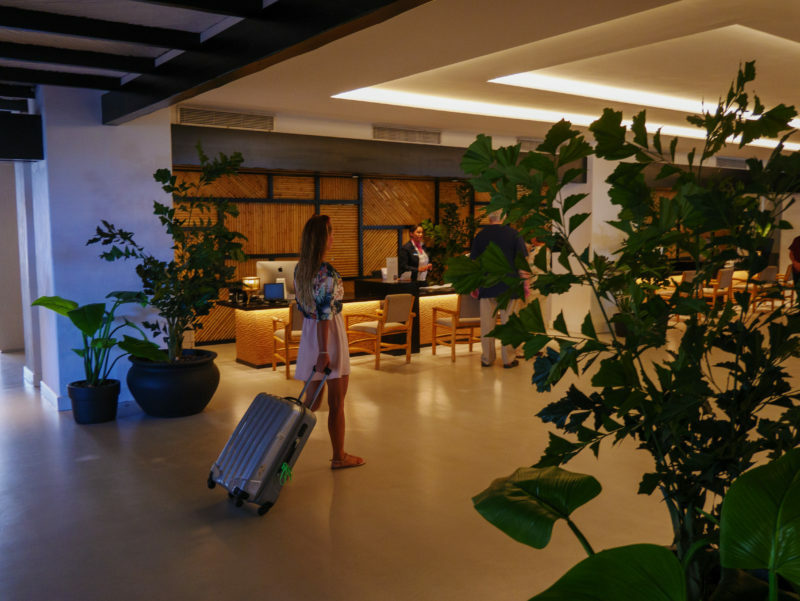 During our stay we also enjoyed access to part of The Club, an even more exclusive and luxurious part of the hotel which is separate from the rest of the hotel. Here there are hammocks overlooking the central pool area and incredibly comfortable Bali beds looking out to the beautiful blue ocean. We spent several hours here on the Bali beds, but it would have been quite possible to relax and nap here even longer. It felt like we had been transported to Bali with the beds, the palm trees, bright blue sky and ocean. Simply stunning! We stayed in some of the hotel’s standard accommodation, but even these were very high quality with extremely comfortable beds, outside terrace, large flat screen TV, excellent air-conditioning system, powerful shower in the bathroom and other top-quality features that sets the rooms apart from other hotels and resorts. While there we also took a look around some of the higher end accommodation available and these rooms were simply incredible. The best one in particular was on the top level of the hotel and was like a full apartment with double bedroom, bathroom, living room, kitchen and huge terrace area, even with a BBQ. The view from this room across the hotel and out to the ocean was quite simply sublime! 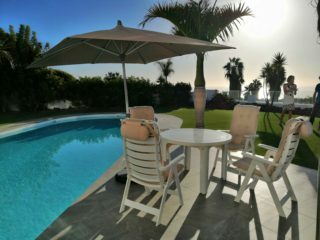 Overall, in my opinion this is definitely the best hotel I’ve stayed at in the Canary Islands and one of, if not the best I’ve stayed at in my life. The modern, stylish and luxurious design and feel, the friendly and professional staff, the tropical surroundings, the convenience of the location, the delicious food and drink and the overall ambience have been combined to create an awesome and unique experience. We were there for a weekend which flew by and I would quite happily have stayed there for a week or longer, or even better move into the penthouse apartment and enjoy true luxury living! 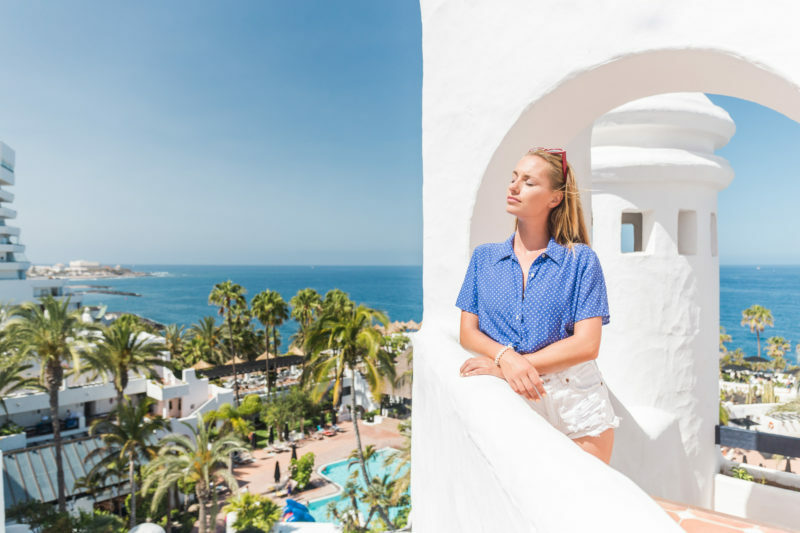 I would recommend Hotel Jardín Tropical to anyone looking for a fantastic and luxurious stay in Tenerife, that offers total rest and relaxation. Thank you to all the staff at the hotel for their warmth and kindness during our stay and thanks to the hotel for sponsoring our stay. Behind the scenes video by John Dale Beckley. 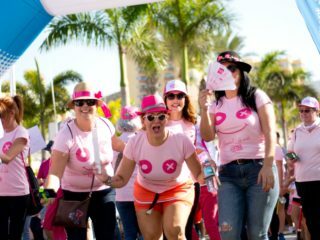 A big shout out to our talented film-maker friend Siboney Tabares King for travelling over from Lanzarote to make the wonderful video you can see at the start of this post. I would also like to give a big thanks to all of the Canary PR team (John Dale Beckley and Kate Michelle Conti) for their support, and our excellent model for the day Ola Chowanska.